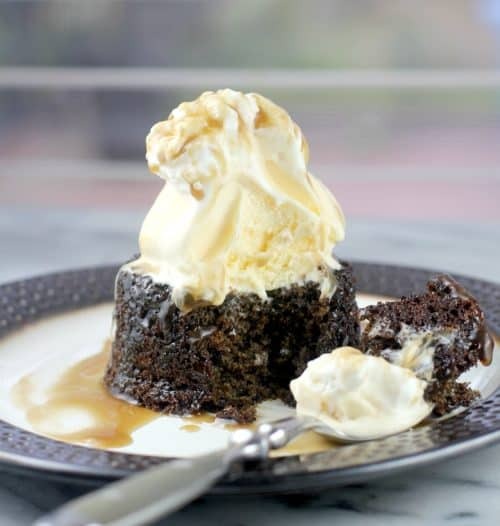 Put an American spin on the British classic, Sticky Toffee Pudding. 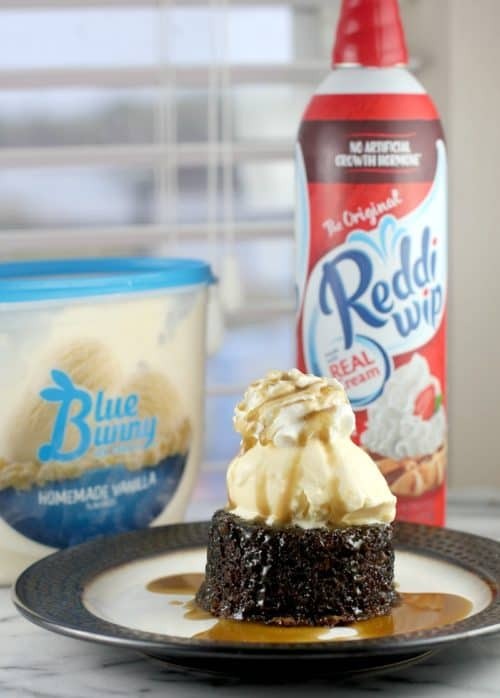 Delicious, perfectly spongy cake, soaked with luscious Sticky Toffee Sauce, and topped with ice cream and Reddi-wip Original Whipped topping is a very special way to celebrate all the fun of summer with family and friends. 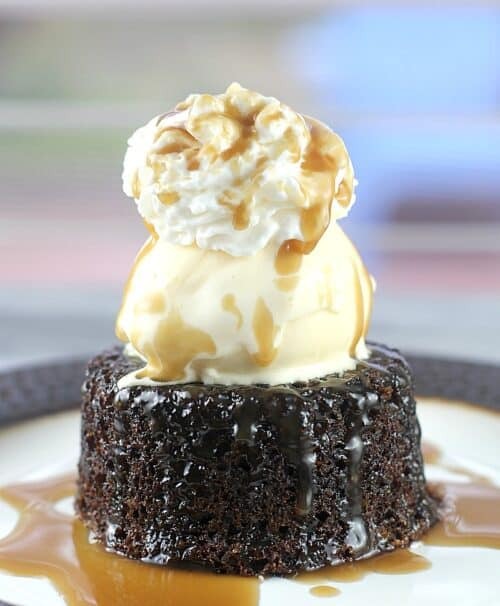 Sticky Toffee Pudding is life, so pardon me why I try to contain my excitement with this dessert. THIS treat is SO good, I haven’t even the words. It is DELICIOUS. Balanced. Not overly sweet. A grown-up dessert, yes …but both my kids gobbled it up too. Love love love love love. So let’s kick off our summer in the best way with Sticky Toffee Pudding Sundae, shall we? Recently, I traveled to the United Kingdom, England specifically. I spent a week there, traipsing around the east coast, north of Manchester. Literally pretty much every day, I had Sticky Toffee Pudding for dessert after dinner. I have no sweet tooth, and I very rarely make dessert, let alone order one at a restaurant. But Sticky Toffee Pudding was SO good, I just had to have it. Every. Day. And the cool thing was, each day (thus, each location, because I was traveling) was a little different. First time, it was topped with frothed cream. Second day, it was topped with ice cream. Third day, a little chocolate sauce. Each time was a different experience, and they were each spectacular. 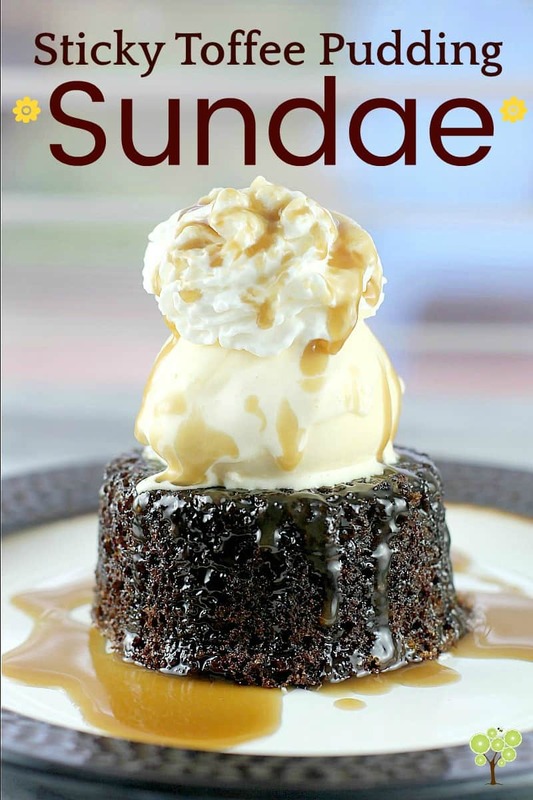 So, my recipe here is American-spun, Sticky Toffee Pudding …in the form of a sundae. Because that’s how we roll, isn’t it? So, what I did here to kick off our summer …is first …the cake. This cake is crucial. It may be dark in color, but it is light and divine in texture. A springy cake, perfect to soak up the toffee sauce. 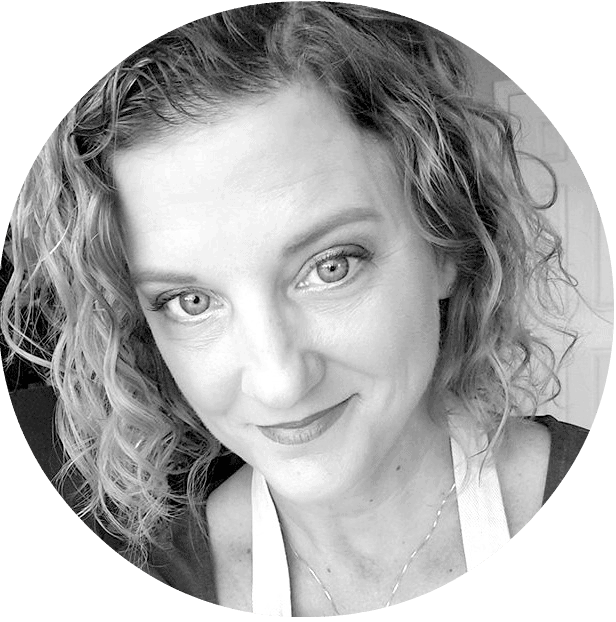 Once I researched the basics of Sticky Toffee Pudding, I was surprised that a key ingredient is DATES. I hate dates …or do I… I guess I don’t. Whatever. This is NOT a “date cake”. It is a perfect cake, an ingredient for which just happens to be sweet dates, simmered to soften, then blended to make a paste that adds sweetness, color, and crucial depth of flavor. Don’t question, just trust. Next is the Toffee sauce, which is prepared in just 3 minutes. Unlike caramel, this sauce does not overly thicken as it cools. So don’t be afraid to make it in advance, then warm gently and spoon over everything in your life. YUM. 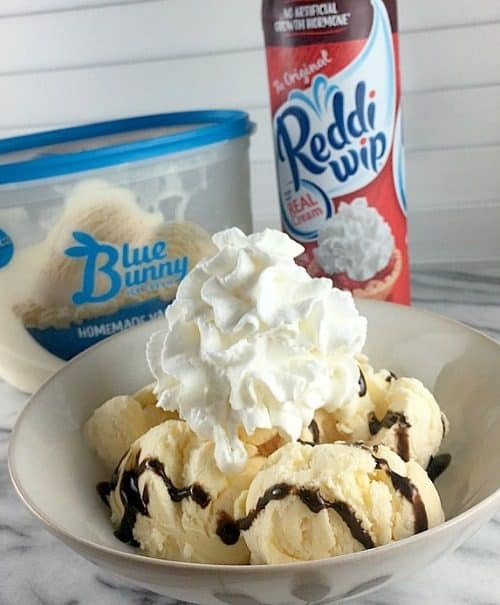 Finally, we top with Blue Bunny Vanilla ice cream and Reddi-wip Original Whipped Topping. Blue Bunny Vanilla ice cream because it is delicious ICE CREAM for pure enjoyment and totally how we Americans give in to summer fun. 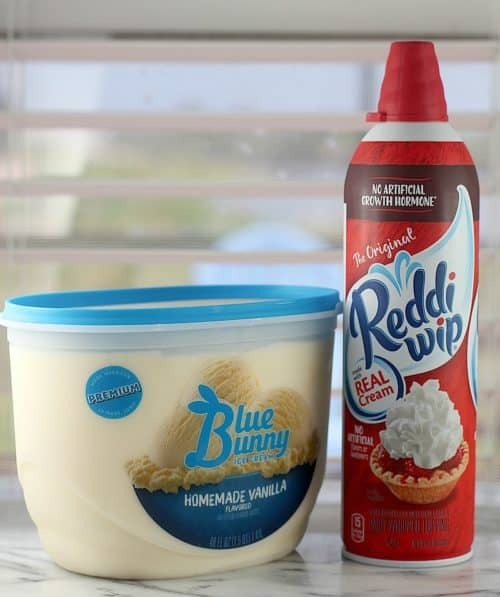 And Reddi-wip because it is real cream, easily delivered as a dollop on top for instant gratification — another thing we Americans love. Boom. So that’s it folks. Kick off your summer with this divine experience and my new FAVORITE dessert. You have to try this for yourself, you will LOVE it! 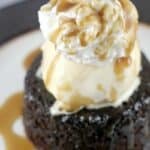 Put an American spin on the British classic, Sticky Toffee Pudding with a delicious, perfectly spongy cake, luscious Sticky Toffee Sauce, ice cream, and Reddi-Wip. Heat oven to 375F. Butter 8 small ramekins. Dust with sugar. Set aside. Put the dates and 1 cup water in a medium saucepan. Bring to a boil, reduce heat, and simmer 5 minutes. 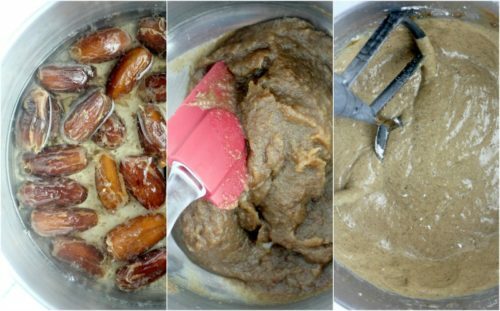 Use an immersion blender to blend the dates and water until smooth. Set aside to cool to room temperature. In a large bowl, combine the butter and brown sugar until smooth. Add the vanilla, molasses, and corn syrup, and combine. Add the date-water paste and mix well. Separately, combine the flour, baking powder, baking soda, and salt. Add to the butter-sugar mixture. Whip until smooth and fluffy. Portion the batter into the ramekins. Place ramekins on a bake sheet and bake 20-25 minutes until risen and springy to the touch. Remove from the oven. 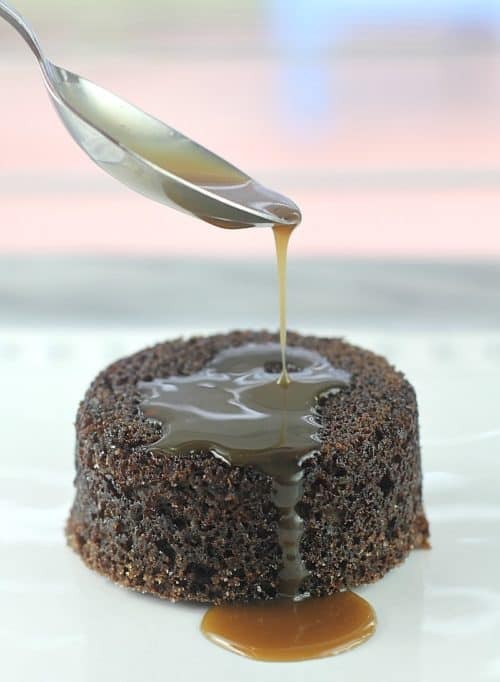 While the cakes are cooking, prepare the Sticky Toffee Sauce. Heat the butter, corn syrup, and brown sugar in a medium saucepan until smooth and bubbly. Gently simmer on low heat 2 minutes. Remove from the heat and carefully add the cream, stirring until smooth. (Careful, this mixture is HOT). Remove a cake from the ramekin onto a serving plate. Top with Sticky Toffee Sauce so it can soak into the cake. Then top with ice cream, Reddi-wip, and additional Sticky Toffee Sauce. Yields: 8 servings. If ramekins are not available, the cake can be baked in a 9x9 square cake pan for 25-30 minutes. All these ingredients are available at Walmart. For more dessert inspiration, visit the Social Hub. And leave me a comment! 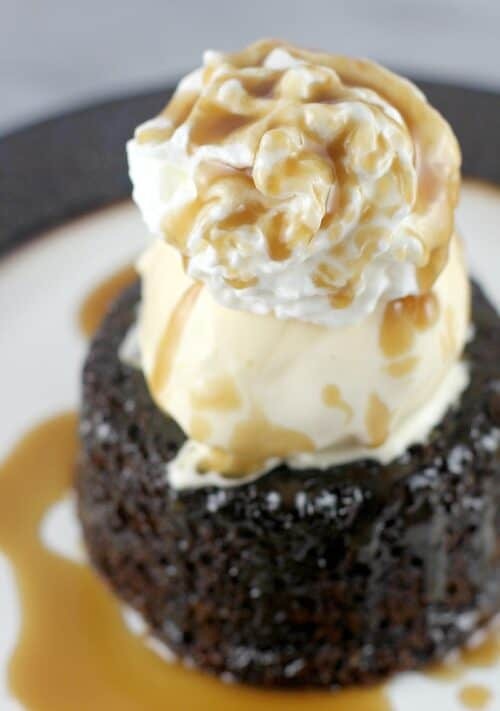 Have you had Sticky Toffee Pudding? Wow! Such an extensive recipe. It looks really good. I’ll definitely be trying for sure! Okay, this is some seriousness sweetness. I am going to have to make your sticky toffee pudding sundae for the kids. They would totally be happy about this! Oh my this looks so good. May I have extra Redi Whip please? Plus a cherry on top. That is really picture perfect! We always have a can of Reddi Wip in the fridge around here. I really shouldn’t be reading recipes like this when I’m hungry. Now I want one! Can you send yours over?! This is two delicious desserts in one! Let’s skip dinner and get straight to dessert. OH wow ! That looks so good! I just made something similar to that as well last month, but it didn’t look as good as this! Not a fan of toffee that much, but I know who in my family who would LOVE this and that is my mother. I bet it’s really delicious.